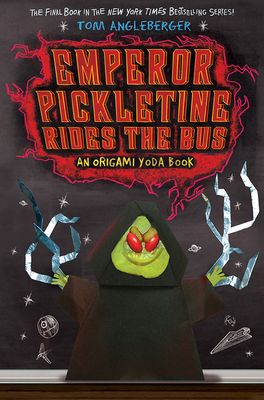 Tom Angleberger is the New York Times bestselling author of the Origami Yoda series as well as many other books for kids. He lives with his family in Virginia. "Angleberger closes his six-plus-volume (there is a companion origami manual with stories) series of doodle-filled Star Wars paeans with an enjoyable, funny and realistic denouement that nicely wraps up most of the series storylines. Age-appropriate boy-girl relationships add to the authenticity of the characters, who will soon be eighth graders. One last time: "stooky!" (Er, "fantastic!")" "...Angleberger’s characteristic humor remains in abundant supply..."
"Fans of the series won’t want to miss the satisfying conclusion."